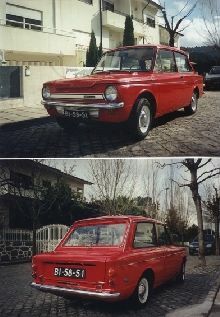 The Rootes group launched its answer to the BMC Mini in 1963, the rear engined Hillman Imp. 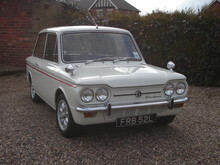 The Imp was quickly "badge engineered" into Singer and Sunbeam derivatives including some pretty "fastback" models. 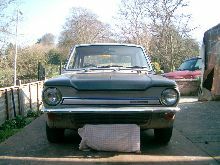 The standard car used a two door bodyshell with a novel opening rear window/hatch, all Imp's were built in a brand new factory built in Glasgow with government grants. Power for these small saloons came from a an all-alloy engine developed from a Coventry-Climax unit. 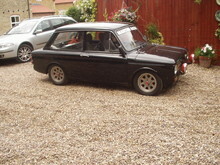 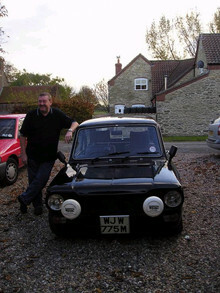 Despite only having 875cc the Imp engine provided plenty of power and was matched to an equally good gearbox. 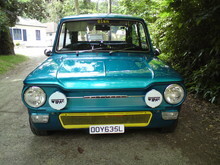 The Imp Super also featured plush trim, a "faux" front grille and side-trim strips.